In Tamworth we have a love for carpets. Even if our love diminished slightly in favour of a brief love affair with laminates we seem to keep coming back to the comfort that carpet gives. Maybe it’s the cold of our winters that makes us want something cosy and warm. However we also love our pets, wine, and heated styling gadgets so those carpets have to put up with a lot and you can guarantee that if something can happen to damage your carpet it generally will. Few people can afford or would even want to replace their carpets every time an incident occurred – even fewer people realise that Tamworth carpet repair services are available, affordable and convenient. The house proud residents of Tamworth are fortunate to have the experience of Carpet Surgeon on their doorstep. So, with just one quick phone call help will be on its way. 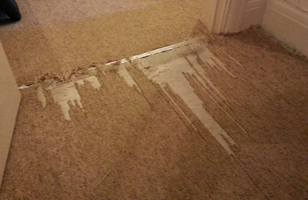 What carpet damage can Carpet Surgeon repair? It may be that you’ve loved your carpet for a long time and it’s looking a little worn resulting in bare patches or fluffy seams. 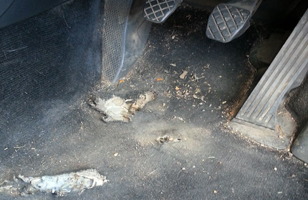 Both are simple problems for our carpet repair Tamworth service. You may have an ink or wine stain that could not be removed and now you think that replacing the carpet is the only option. Stop! Carpet Surgeon can help you. In Tamworth our home is our castle and we love our pets. We welcome them into our homes but pet damage can easily destroy areas of carpet. 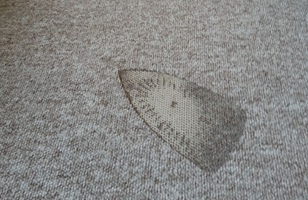 They may leave it looking irreparable but our carpet repair service can leave it looking like new again. Other problems may occur with moth damage, spits from the fire, flooding or perhaps you accidently scorch your carpet with hair straighteners or an iron. All of these incidents have taken place in Tamworth and have been successfully resolved by Carpet Surgeon. New tenants often expect new carpets and in most cases you may think a good clean will help – but what about those pesky tears and burn marks that have mysteriously appeared! One call to another local Tamworth business for carpet repair and Carpet Surgeon could save you hundreds of pounds by repairing your existing carpets and enabling your new tenants to move in quickly. On the other side of the coin – if you’re renting in Tamworth you can call to have the carpet repaired and save yourself from losing your security deposit when you leave. Most of the carpet damage highlighted will not be covered by your home insurance however where the insurance companies say no, Carpet Surgeon says yes! Tamworth businesses can benefit too. Take a look at these case studies showcasing Carpet Surgeons commercial carpet repairs. Now that you know that help is at hand you can leave Carpet Surgeon to do what they do best. With over thirty years experience and employing an array of specialist equipment and techniques (including micro-shearing) Carpet Surgeon relish the challenge of repairing your carpet damage to such a high standard that no one would even notice. When the Carpet Surgeon arrives to work their magic you can expect hassle-free professionalism and expert workmanship leaving seamless, invisible results. Without needing to lift the carpet or much disruption at all, your carpet will be repaired in-situ leaving you with a carpet you can once again fall in love with. Simply use the contact form to upload a photo of your carpet repair needs or call Tamworth 01827 261782 for a quick response. Of course, if you live outside of Tamworth, don’t despair, Carpet Surgeon can help you too. See areas covered and you won’t be neglected.